Need: Paper, pens, envelopes (if wanted). Directions: Have campers write letters to themselves in the future about their resolutions for the year/summer/week. Seal them in an envelope or fold and tape closed. They can open and review later. Need: Paper in three different colors (green, yellow, and red are best), pens. Directions: Label the green paper Comfort in big letters in the middle. Talk about what is a comfort zone. 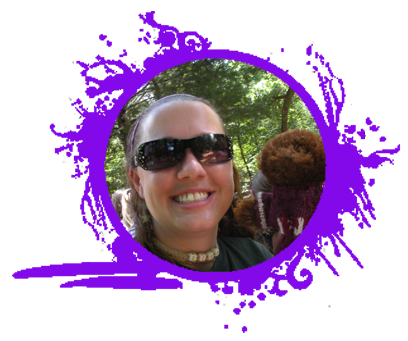 Have each girl write something about camp that is in their comfort zone. When finished, pass to the next person and tell the group what they wrote and why. Repeat with Challenge (yellow) and Panic (red). Post them in a central area as a reminder. Revisit later in the week to compare how things have changed. 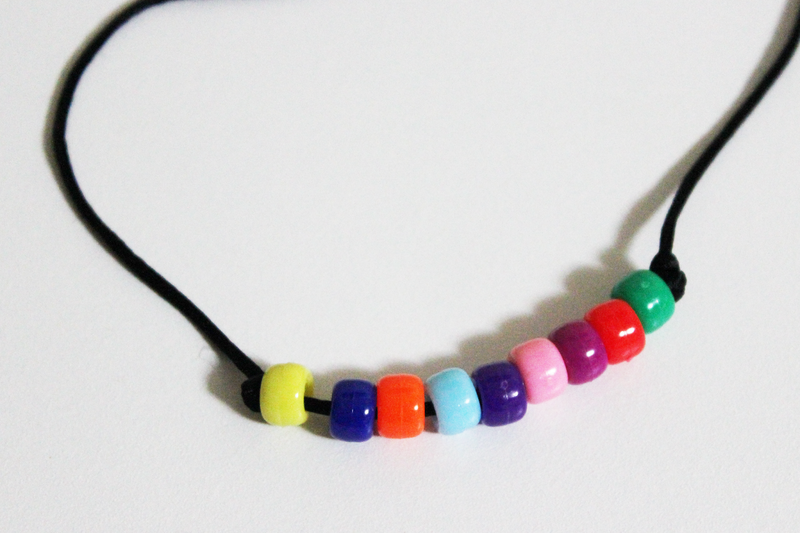 Need: String for bracelet, different colored beads (one color for each day, enough for all campers). Directions: This is a daily activitiy. 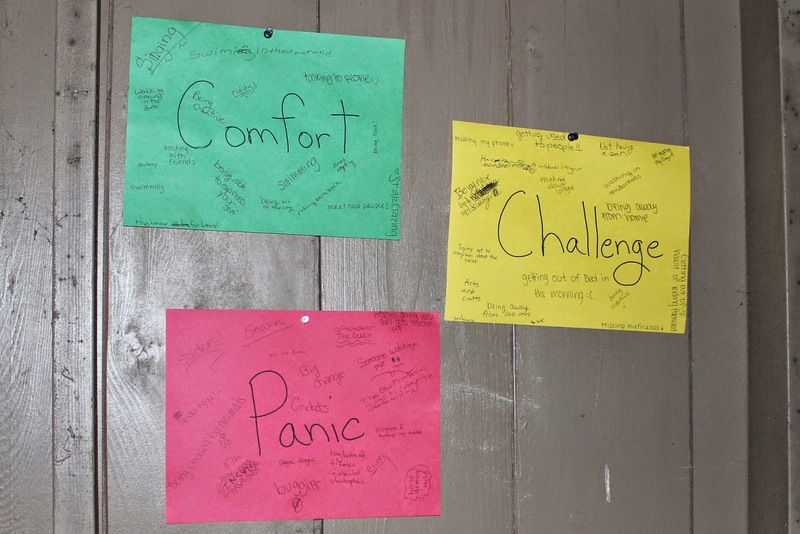 The first night have the campers think about challenges they may face at camp. Have each of them decide on one challenge that they will face the next day (such as being nice to a certain camper, no cuss words, swimming in the deep end, trotting on a horse). They do not have to share their challenges with the group but remind them that this is on the honor system. Pass out one bead of one color to represent the start of the challenges. Every night after, have the campers tell if they met their challenges or not. If so, give a bead to that camper representing the overcame challenge. 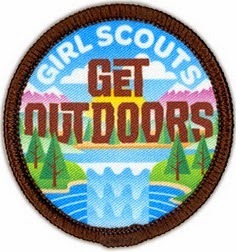 This Saturday, June 14th, is National Get Outdoors Day and June is National Get Outdoors Month. Girl Scouts have made a patch to celebrate this day and you can find it in their shop online. There is a website dedicated to this day with news, locations (not required), and ways to get involved (host an event!) or find them on facebook. Read in a hammock or floating on a raft. Take photos of yourself, your friends, your family, and your environment. Create something for your yard. Go for a nature walk/scavenger hunt. Have a picnic at a local park. Make a treasure hunt for your friends. Do something for your community. Get down and dirty with a magnifying glass. What things will you do? Directions: Go around and have everyone tell their 'roses and thorns' for the day. Roses being the good things, thorns being the bad. This can be left open for any amount or limited to one of each per camper. I do love Build-a-Bear. I didn't ever have a Build-a-Bear bear growing up, but before you think I was denied something so awesome, I'm not even sure they were around then! 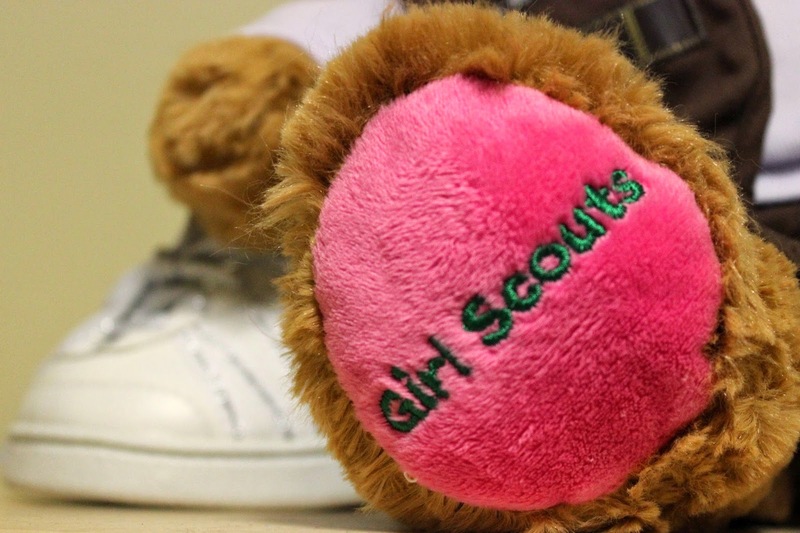 I only keep stuffed animals that are special to me and through the years I've only seen one Build-a-Bear that I would have loved to have had (it was candy corn) until the Girl Scout bears came out. I was never a fan of the 'scout' costumes they had out before these official ones, and the themed bears are just adorable! I did have to order mine online because the closest Build-a-bear location is over two hours away from where I live. 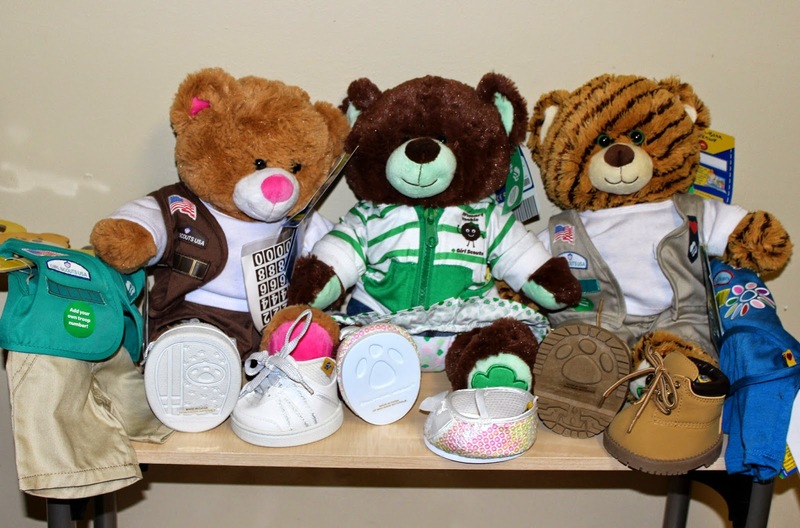 A couple of the bears I bought in a set, where you get the bear and the uniform, shirt, and shoes for one price. The latest bear wanted to some with the same shoes the first bear came with so instead of buying the set, I purchased it all separate and picked out a super cute pair of hiking boots. I thought they were super Girl Scouty! 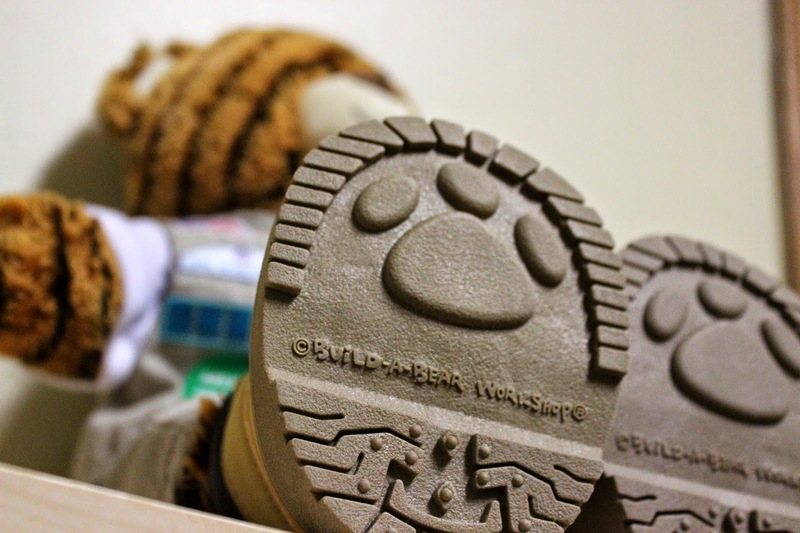 Although I found out later that I could have purchased a scented item to be put into the thin mint bear's paw that would have made him smell like thin minty goodness. The only thing I'm missing, is the latest Girl Scout clothing set with the green hoodie and denim skirt. They have been out of stock for a couple months now, but I'm ever hopeful and constantly watching for it! I also hope to find one of the Build-a-Bear patches to add to my patch blanket. Did you get some of these too?